Plan out your topics and themes for the entire year! Includes a handy list of 2018 special dates and festivals. NOW REDUCED! – CLICK HERE for the 2019 Activity Planner! Plan out your topics and themes for the entire year or note down as you go to remind you of what you have covered. Includes a handy list of 2018 special dates and festivals and room to write down birthdays or other special events. Prefer to plan by the school year? No problem find the Academic Activity Planner HERE. 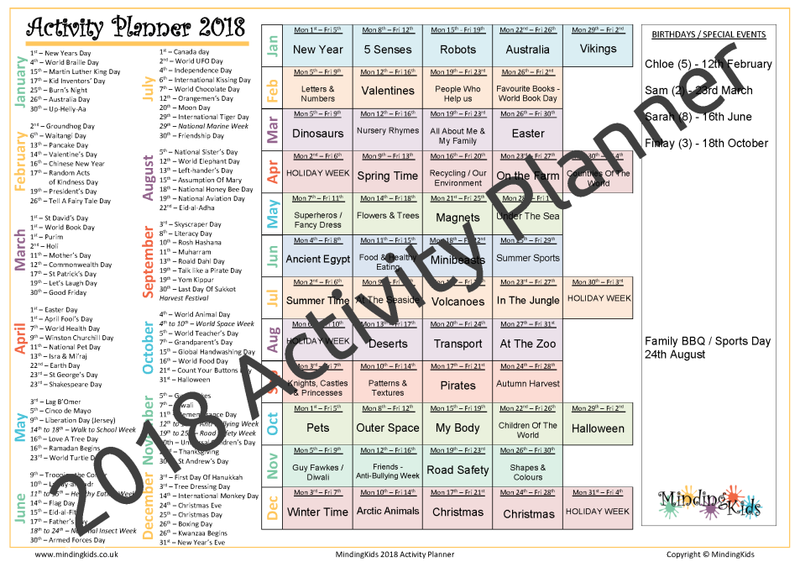 The 2018 Activity Planner is supplied as a PDF Form. Simply save to your computer or tablet then click in each box to enter information, or print out and fill in by hand. See the FAQ page if you are having trouble typing information into PDF forms. This item has been carefully designed to assist childcarers in meeting both English Ofsted and Scottish Care Inspectorate requirements! 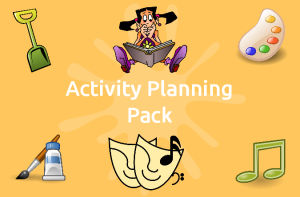 NOTE: This item is also included in the Activity Planning Pack – A comprehensive Planning Pack to brainstorm ideas and plan activities around a topic or theme. 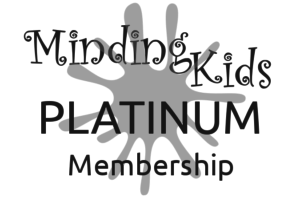 Why not become a MindingKids member? PAY JUST £30 TODAY for UNLIMITED ACCESS to ALL our OUTSTANDING Resources! 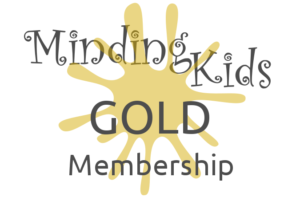 CLICK HERE for full details of our membership packages!